Ahead of the payment of €462 million by Greece to the IMF on Thursday 9 April, figures released by the Jubilee Debt Campaign show that the IMF has made €2.5 billion of profit out of its loans to Greece since 2010. If Greece does repay the IMF in full this will rise to €4.3 billion by 2024. 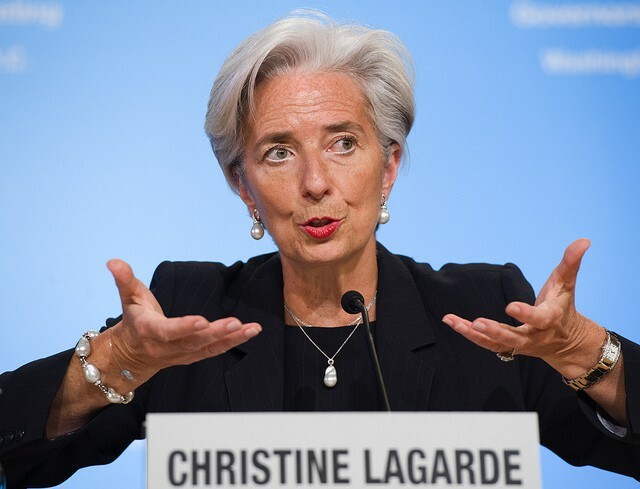 The IMF has been charging an effective interest rate of 3.6% on its loans to Greece. This is far more than the interest rate the institution needs to meet all its costs, currently around 0.9%. If this was the actual interest rate Greece had been paying the IMF since 2010, it would have spent €2.5 billion less on payments. Out of its lending to all countries in debt crisis between 2010 and 2014 the IMF has made a total profit of €8.4 billion, over a quarter of which is effectively from Greece. All of this money has been added to the Fund’s reserves, which now total €19 billion. These reserves would be used to meet the costs from a country defaulting on repayments. Greece’s total debt to the IMF is currently €24 billion. As of 1 July 2015, Greece is in arrears to the IMF of €1.6 billion. So the IMF’s overall profit currently stands at €900 million.